Pleased to appear on Moolala (Sirius XM radio), joining host Bruce Sellery to talk about my new book, Defusing the Family Business Time Bomb. You can listen to our chat here. Consumers favour flexibility and convenience, in terms of how they procure goods and services. With a world of options at their fingertips, consumers have never had more choices, and companies that do not perform well or fail to meet expectations are quickly replaced by more savvy competitors. Getting a customer back once they have been lost is difficult, if not impossible, in many cases. An abundance of things that used to be done “manually” are now driven by technology, think shopping, logistics, communications, manufacturing, and even depositing a cheque. Companies who have not kept up with the technologies that impact their industry or have failed to invest in these areas are unlikely to have a future (they barely have a “present”). Family business leaders who consider succession to be as simple as handing over the keys to the next generation need to think again. A well managed company leads to good outcomes, including financial performance, customer loyalty, and longterm employees; these are some of the building blocks of establishing a brand. When a company is guided by what is most convenient for itself, shuns the systems and processes that generate good performance, and fails to seek advice to bring valuable perspective and expertise, it is not in a position to establish a brand presence that represents meaningful value to a potential successor or acquirer down the road. Think about what this means. When family businesses fail to operate in a manner that is based on fundamental business practices and the needs of the marketplace, they put the future of everyone involved at risk; this reality has never been more true. Business leaders must take action, now, to ensure viability over the longterm, to the benefit of the company and the family (and those in the Baby Boomer generation, who have led companies for a while and are now facing retirement are a particularly important group, when it comes to succession considerations). 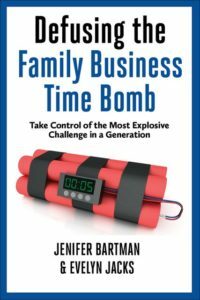 Get started by reading Defusing the Family Business Time Bomb, helping business leaders face the most explosive challenge in a generation. Your business and your family’s wealth generation should have a future, right? There was a time when it was a given that a family business would be passed from one generation to the next; in many cases, it was just a matter of time. Over the course of 20 or 30 years in business, things changed, but not at the pace or in the manner that has been the case over the past few years. Trade relations. Recent years have brought numerous trade developments, including tariffs, disputes, and negotiation of new agreements, such as the USMCA (to replace NAFTA). This agreement not only includes new clauses, it has also created uncertainty, given the lengthy negotiation timeframe and the fact that it is yet to be formally enacted. In addition, ongoing trade discussions between the US and China and the friction associated with the detainment of a Huawei executive have left many countries wondering what the outcome will be, along with uncertainty associated with Brexit, the European Union, and turmoil in Venezuela. This state of flux impacts critical areas such as business investment and growth strategies, as well as financial performance, when unexpected tariffs and trade bans come into play (the case of Canadian canola imports being halted by China is a recent example). Ally uncertainty. For those of us who have been on this Earth for a while, there has been relative consistency in terms of who are considered to be global allies and those who are foes to be regarded with caution. In challenging times, it has been a given that countries such as Canada and the United States would work together with allies in Europe and the rest of the Commonwealth to protect interests and combat potential harm. In recent years, traditional alliances have become less certain, with US leadership effectively reducing its global profile and “making nice” with questionable regimes. Besides the obvious “headline” appeal, the reality is that economic circumstances tend to follow relationships, and when uncertainty occurs, it could translate into business risks, and sometimes, opportunities, if the situation is approached effectively. Regardless, companies are impacted by these developments, even if they occur in faraway places (think about the realities faced by farmers and everyone who counts them as customers, when Canadian canola shipments are turned away by China). Financial matters. In addition to how trade, alliance, and global economic factors could impact a company, there are also matters closer to home that contribute to changing times. Consider areas such as increasing interest rates, changes in tax legislation, and the challenges associated with access to capital. Canadian businesses have seen significant tax changes in recent years, some proposed, some enacted. In addition to the real life implications, business leaders have had to seek specialized advice to understand areas such as income splitting and potential clawback of the small business deduction. Potential successors are challenged to procure the necessary capital in order to undertake a business transaction, in an investment and financing environment that has become increasingly competitive and complex, as financial partners also monitor global developments. The bottom line is that a company must have the ability to demonstrate marketplace relevance well into the future; in the absence of doing so, there is no basis to achieve ongoing successful operations, making transition irrelevant. Leaders of tomorrow must be able to demonstrate a viable business model, strategy, and plan to make their time at the helm worthwhile, but also to secure the necessary capital to complete a succession transaction. Current and future family business leaders can (and should) take action now by reading Defusing the Family Business Time Bomb. A world of opportunity (and risk) awaits! Business model blow up. The manner in which companies make money has changed dramatically in many cases, which cuts to the very heart of business; this is easily illustrated by the retail industry. While stores used to be the primary shopping option, consumers now have access to a range of methods, including online, rapid delivery, subscription models, and mass media e-tailers. Consumers have, in fact, come to demand these options, leaving companies to struggle to meet the pace of change, with many finding themselves in a too little, too late situation, unable to survive. This disruption scenario is true in almost any industry. Strategy break down. In order to migrate a company through significant change, a key requirement is having a strategy that is proactive, comprehensive, and relevant. These attributes are driven by having a thorough and timely understanding of the changes that are occurring in the external environment, including industry trends, technologies, and marketplace developments. Too often, business leaders focus primarily on what’s occurring inside of their company, with a “they need us” mentality when it comes to customers. This mindset is one that greatly jeopardizes the future of a company. Resource reckoning. New business models utilize resources differently; examples include the need for fewer people, different skillsets, roles that are held by technology, and utilizing strategic partnerships. Each of these bring changes in workflow design, systems, processes, and costs (remember that costs directly impact pricing!). Companies that do not proactively pursue the need to change how they work tend to get left behind at the worst of times, when more savvy competitors have implemented these methods, making it impossible for others to catch up and compete; which leads to this last point. Financial shortfall. Integral to a successful business is the ability to generate at least good financial performance (strong results are, of course, better), thereby creating the fuel to invest, grow, and sustain over the long term. When a company does not have the right business model, it isn’t in a position to build the appropriate strategies to utilize resources well and be competitive over the long term, which leads to poor financial results; it’s all connected. Companies in this situation lack market relevance and are, too often, left without a future. Think about what this means to a business leader who is depending on the transition of their company to someone else, as the basis to fund their retirement. The reality is that many of the advancements that we live with today represent technologies that much of society could not have imagined even five years ago. What will the next five years bring? The next 10 years? As technological advancement continues to accelerate, even the next two to three years will be highly significant. Is your company ready to face this challenge? Remember that challenge also brings opportunity, but only for those who are well positioned to approach it. Learn more about the profound impact of disruption in the external environment, as well as how to take control and benefit from it by reading Defusing the Family Business Time Bomb. The future of any company is based on its ability to continue to be relevant to the marketplace over the long term. In today’s world, this is anything but a given. Pleased to have appeared on SET for Success on 680 CJOB with Richard Lannon discussing my new book, Defusing the Family Business Time Bomb. Since many business leaders expect that their company will be sold at some point in time, often to fund their retirement, it is critical to understand the many challenges that could stand in the way of this goal, some of which might be surprising. Business leaders tend to not fully appreciate potential problem areas, failing to realize just how high the likelihood is that their company will be impacted, putting their future plans at significant risk in the process. Some hold the view that they “have it all figured out” or “don’t need to address those issues”, bringing a false sense of security and trouble at the worst possible time. These scenarios are, unfortunately, all too familiar in the case of family business. Demographic factors: aging Baby Boomer business owners have a limited number of potential successors. Do they know it? Disruption of key industries: new and complex business models and rapid digital/technological advancement could reduce expected valuations and make transition to new owners either irrelevant or much more costly. Is the company of relevance to customers, now and in the future? Dramatic change in the global economy: making strategic planning difficult, increasing competition, and escalating the cost of doing business, thereby shrinking profit margins. Can the company compete on a profitable basis? Uncertain tax rules: new and complex tax changes, restrictions to family income sprinkling, and a clawback of the small business deduction all impact profitability, investment opportunities, and access to capital. This challenge could be especially difficult for young entrepreneurs or successors who want to scale up the business for the future. Is the company getting the right advice? Take a moment and think about each of these significant developments. Any of these areas is a lot to deal with on its own, but when combined, these factors have the potential to stop a company in its tracks, making succession or sale of the business unattainable. Consider what the impact of this discovery could mean to a business leader, their retirement, the future of the company, and the family. This book helps business leaders to understand the areas that need to be addressed, now, including practical guidelines for facilitating important conversations with key advisors. Doing so not only helps to improve how a company operates today, but can also address the issues of tomorrow, including succession, sale of business, strategic partnerships, and seeking investment capital. These areas are also of key relevance to entrepreneurs and potential successors, who face unique challenges of their own. You can listen to our conversation here. Contact us to learn more about how we can help; your company, family, and peace of mind will be better for it. Defusing the Family Business Time Bomb: 4 Important Threats to Understand, Now! The Top 4 Threats to your Family Business in 2019Many of us are familiar with family business leaders in our community; perhaps, you were raised in this environment or are managing a company yourself. Family businesses represent a considerable segment of the Canadian economy and have the potential to be unstoppable; where everyone works together to move forward with common purpose. Family businesses, however, can also be plagued with the conflict and strife that tend to be associated with relationships that are close, personal, and longstanding; this reflects the other side of the coin. By their very nature, family businesses can be tricky. Demographic factors. Experienced advisors know that the majority of aging business owners do not have a succession plan and research has supported this finding over the years. They also do not fully appreciate the reality that there are a limited number of potential successors, in terms of those who have the necessary skills, interest, and capital to take over a company. This fact alone has the potential to halt business transition in its tracks. Disruption of key industries. The manner in which we live has, and continues, to change. Consumers and companies procure goods and services differently than in the past, resulting in the need for new and complex business models, many of which are supported by rapid digital and technological advancement. Companies that do not keep up with marketplace expectations not only face declining demand, but also the risk of obsolescence, in terms of transition to someone else. This can be a sobering and disappointing reality for many business leaders. Significant change in the global economy. The daily headlines in our world are often characterized by widespread change, including in areas such as trade, tariffs, political alliances, and business requirements. This ongoing evolution brings uncertainty, with the potential to significantly impact a company’s planning efforts, financial results, and valuation upon transition. Uncertain financial times. Recent tax changes in a number of areas have generated many questions from family business leaders, impacting areas such as income distribution and investment opportunities. When coupled with increasing interest rates, accessing the capital that is so integral to business growth and transition strategies could become increasingly difficult, a challenge that especially impacts young entrepreneurs and potential successors. Any one of these developments can have a significant impact, but when combined, it could create a situation that is impossible for an unprepared company to overcome. When these areas are considered in the context of typical family business problems, the stage is set for unprecedented challenge; one that impacts families, companies, and Canada’s business community as a whole. The reality, however, is that many business leaders are unaware of the degree to which these factors have developed, often as a result of not spending a sufficient amount of time to fully understand the external environment, including industry and market trends and developments. Since this is clearly a critical time for business leaders and their families, Evelyn Jacks and I decided to write our latest book, Defusing the Family Business Time Bomb. This isn’t just another “family business book”; rather, it brings a common-sense approach to addressing the many challenges that are associated with building a company that has the potential to be sold to someone else in the future, all during highly uncertain times. Here’s a final thought: As business leaders in great numbers face retirement, it is only the well managed and strategically positioned companies that will have relevance in the future, enabling them to be transitioned to someone else for a “good to great” level of value. This stark reality is something that must be recognized by both founders and successors alike. Many family business leaders have the expectation that their company will eventually be passed to the next generation and maybe even to the one after that. Perhaps this is why they established the company in the first place: to provide for the family’s financial needs over the long term, building wealth and security in the process. Having possession and control of this type of “economic engine” brings with it the power of options and the benefits that are associated with not having to rely on others to earn an income. Achieving longevity isn’t so easy, however, as research indicates that successful passage of a company to future generations is not typical. The current environment in which we live is characterized by a number of important realities that impact long term business survival: many companies are led by aging business leaders, most do not have a formal succession plan, and the next generation is getting restless. Couple this with a backdrop of significant disruption, in terms of technological, economic, political, and social factors and it’s easy to recognize that these days are like no other. Business leaders are remaining engaged with their companies for a longer period of time, as traditional retirement has become less of a rite of passage and people are more inclined to lead an active life that includes work. The other side of this trend includes realities such as needing to work longer to support lifestyle expenditures and indecision around how a company should be transitioned (and family squabbling doesn’t help). Potential successors are seeing little advancement in terms of succession, resulting in the decision to consider other options, beyond that of the family business. As successors themselves get older, this is understandable, however, it can blindside a founder, leaving them to wonder how their “succession plan” could have gotten away. This could have serious implications for the future of a company, leaving the business leader to revisit the issue of succession entirely or little in the way of viable transition options. The number of potential successors is limited, in that the next leader is only a realistic option if they have the necessary skills, interest, and capital to undertake a transaction. This group is further reduced by family members who have moved on to pursue other opportunities, in a demographic group that is already smaller than the generations ahead of it. When it comes to demographics, you can run, but you can’t hide. At some point in time, all companies will require new leadership if they are to continue to operate, and the extent to which this can be done successfully is largely dependent on one thing: thoughtful and formal transition planning. As simple as it might sound, research has shown that the vast majority of business leaders do not do this. Learn more about the implications of demographics and how you can avoid the “trap” by reading Defusing the Family Business Time Bomb. Use promo code familybusiness to save on the price of multiple copies, and pay no taxes and shipping costs on all purchases of our book, through January 27, 2019! The future of your company and family’s income stream will thank you for it. I’m pleased to announce the launch of my new book, Defusing the Family Business Time Bomb! This isn’t just another family business book. Why? Because family businesses are facing the most explosive challenge in a generation. Demographic factors. The majority of aging Baby Boomer business owners do not have a succession plan and don’t appreciate the reality that there are a limited number of potential successors. Disruption of key industries. New, complex business models and rapid digital/technological advancement have the potential to reduce valuations and make transition to new ownership either irrelevant or much more costly. Dramatic change in the global economy. Makes strategic planning difficult, increases competition, and could escalate the cost of doing business, thereby shrinking profit margins. Uncertain financial times. Complex tax changes, restrictions to family income sprinkling, and a new clawback of the small business deduction all impact profitability, investment opportunities, and access to capital. This challenge could be especially difficult for young entrepreneurs or successors. Typical family business problems. The conflict, apathy, sudden or emerging illness, or control issues can affect relationships, decision-making and, ultimately, the health of both entities: the family and the company. Business leaders are under siege, but do they know it? These issues are significant and very much present in the current business environment, with additional evolution and challenges occurring with each day that passes. Whether you are a long-time business owner getting ready to transition out or a new entrant to the “gig economy”, poised to grow and expand, you will appreciate this book for its contemporary and practical advice. It brings a common-sense approach to the challenges associated with building a company that has the potential to be sold to someone else in the future. This from two experienced authors and business leaders who have helped the owners, executives, investors, and professional advisors with whom they work to prepare for the most explosive challenge in a generation: the retirement of the Baby Boomers and transition of their companies to a new guard, who face pitfalls and opportunities of their own. Join me and Evelyn Jacks on this important journey for your business and your family. Order your copy here! EVENTS: Coming to a City Near You! Just about to hit the road on my speaking tour, as part of the Knowledge Bureau CE Summits! This series focuses on year end planning for investors and small businesses, designed for advisors who work with these important clients. I’m looking forward to speaking about challenges that family businesses face in two sessions: The Family Business Time Bomb: Transition, Improve, or Wind up? and a case study discussion, Embracing Disruption and Risk in Succession Planning (yes, you can!). While it’s typical for a family business to be inundated with challenges and change, seldom have so many potential threats been evident: demographic factors, disruption of key industries, dramatic change in the global economy, and uncertain financial times. It’s no longer sufficient for leaders to focus their efforts primarily on addressing typical “family business” problems. Doing so puts the very future of the company and the family’s finances at risk and makes successful transition less likely. Initiate transition planning in a manner that addresses the “time bomb” factors that business owners are facing. In order to get there, professional service providers need to understand the advisory skillset that business leaders are seeking. Doing so provides the foundation for differentiation in the marketplace, as well as building a robust advisory firm over the long term. It’s up to you to ensure that your firm doesn’t get left behind. Join us for this valuable session by registering here. See you on the road! 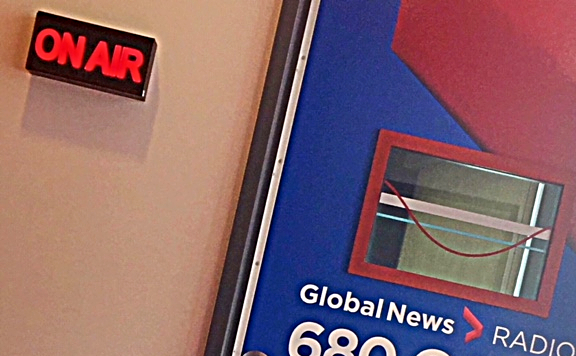 Pleased to have appeared on SET for Success on 680 CJOB with Richard Lannon to discuss some important areas that business leaders need to address to successfully grow and develop their companies. Being a market leader is a goal for many, but in order to realize a company’s full potential, it’s critical to identify what that means for your business and then develop and successfully implement the plan. This process is one that is fraught with challenges, but having the right assistance could made success much more likely, to the benefit of your company. As a business advisor, my approach is to bring a holistic perspective, recognizing that all functional areas within a company are related and impact one another. For a company to grow on a sustainable basis, all functional areas must be operating well, to provide the foundation for building capacity and sound operations. Those who do this well are in a position to become market leaders, representing the choice of investors, strategic partners, high calibre employees, and customers. Those who take a piecemeal approach tend to end up frustrated, wondering why their results are not better. When companies are growing (or planning to do so), they must also recognize that capital is an important component; this is something that business leaders tend to discover too late. As a former venture capitalist still active in the industry, the vast majority of business plans that I see are not investor ready; this is the case at least 95% of the time. Investor readiness involves understanding the expectations of financial partners and investors, which differ significantly from where business leaders tend to focus their efforts. Advisors could be helpful in a range of areas, including assisting companies with investor readiness and developing strategies for growth and implementation. As important as planning is, the most significant failures could occur during the implementation process, which is another lesson that business leaders tend to learn too late. If the objective is to generate sustainable growth and build value in a company so it could be transitioned to someone else in the future, market leaders would not attempt to do so without sound advice. You can listen to our conversation here. Contact us to learn more about taking the next steps in growth for your company. NEWS: Executive Business Builder Program Now Available! As the lead instructor, I’m pleased to announce that the Executive Business Builder Program is now available! This program is designed to help business leaders build a future-ready company, including building value and best practices, through courses, mentorship, and access to a powerful network of inspirational, like-minded people. Learn practical strategies for building a company that can generate solid performance and be positioned for transfer to someone else in the future. Value doesn’t just happen, and leaders need to take tangible steps to enhance their company. The first course, Strategic Business Planning, is already available, and additional courses are already in development. Don’t miss out on this opportunity to move from business leader to business builder!